Step 1: Bring 1.5 cups water to a boil and add quinoa. Cook for 15-20 minutes or until soft. Step 2: Heat oil in a pan on medium - high heat. Mince garlic, chop onion, slice mushrooms, and sauté for 5 minutes. Step 3: Combine flax seed with 5 tablespoons water and let sit for 5 minutes to make 2 flax eggs. Step 4: Empty almonds into food processor and pulse until you reach a crumby consistency as shown below. 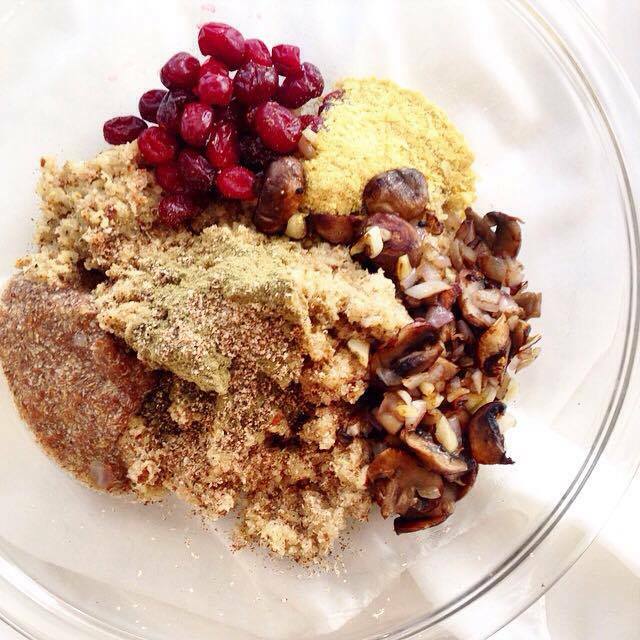 Step 5: Empty almonds into a large mixing bowl, and combine with quinoa, cooked mushrooms, flax eggs, cranberries, nutritional yeast, sage, nutmeg, rosemary, salt, and pepper. Stir until all ingredients are mixed evenly. Step 6: Preheat oven to 350 F, and lightly grease baking sheet. Form mixture into 5 patties, ~ 1 inch high, and place on baking sheet. Bake for 30 minutes, flipping patties halfway through. Step 7: Thinly slice red cabbage and tomato. Mash avocado into guacamole, sprinkling with lime juice, salt, and pepper to taste. 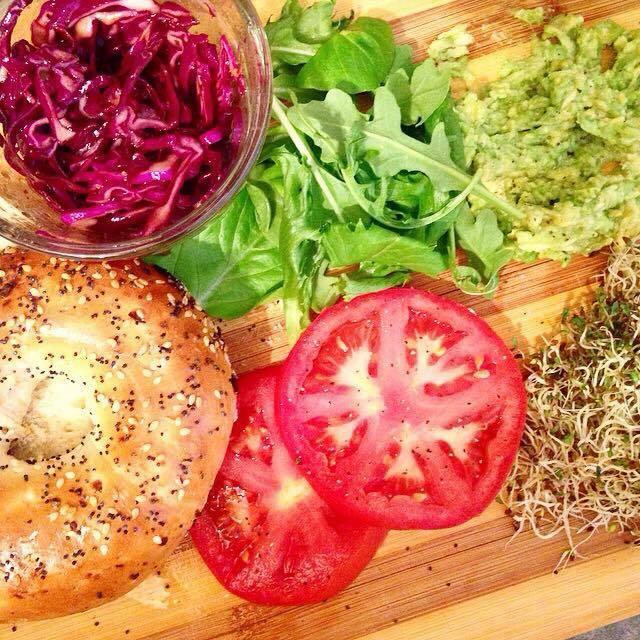 Step 8: Garnish burgers with mixed greens, cabbage, guacamole, tomato, and alfalfa sprouts. I like to drizzle mine with balsamic glaze! 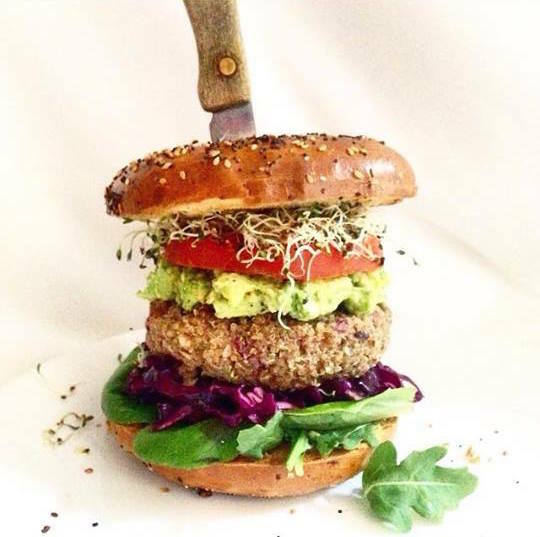 Try replacing your burger bun with mixed greens to create a tasty quinoa patty salad! Enjoying my first homemade burger of the summer!